Home / News / Politics / Why the powerful son did nothing to solve the murder of his father? Why the powerful son did nothing to solve the murder of his father? On August 21, 1983, the Philippines witnessed an event that forever changed our predetermined history. On that exact day, Benigno “Ninoy” Simeon Aquino Jr. was assassinated in broad daylight at Manila International Airport. Mysterious as the identity of the mastermind may seem, the pawns were apparently caught and brought to questioning by the Americans and not our own government. And in addition, the alleged motives were two different things but the goal is one, to eliminate Ninoy out of existence. The alleged assassin was Rolando Galman, the man who put a .357 mm bullet to Ninoy’s head. His fellow conspirators were Master Sergeant Pablo Martinez, Philippine Constabulary Major Romeo Gatan, businessman Hermilo Gosuico, former Air Force Colonel Romeo Ochoco and Air Force Captain Felipe Valerio. Martinez played a key role in the investigation of the hero’s death, it was his testimony which dropped the several other names that were linked to the assassination, specifically, Gatan, Gosuico, Ochoco and Valerio. 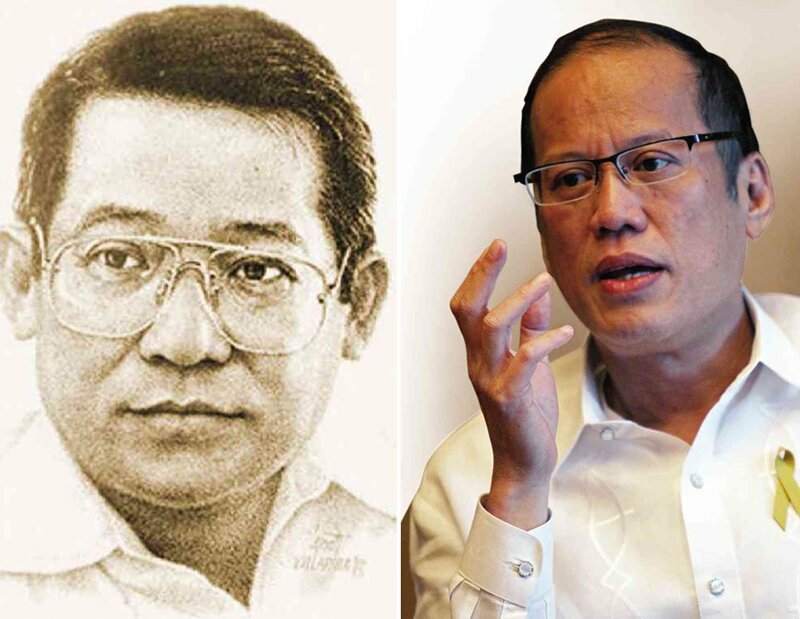 Martinez was convicted in jail for 30 years after being linked to the assassination of Ninoy Aquino but after his release in 2007, he voluntarily disclosed all that he knew on the assassination. The Master Sergeant was with the assassin Galman whom he escorted to the motel room that housed Gatan, Gosuico, Ochoco and Valerio the night before the assassination. A total of 11 other officers and soldiers accompanied Galman to assassinate Aquino, they provided him with the information and positioning that the assassin needed to successfully take the shot that would shake the Philippines. A little while after, Martinez died from being run-over by an SUV, a “traffic accident” at Roxas Boulevard on May 7, 2014, while his son Diomedes Martinez, an Air Force sergeant was murdered. Martinez mentioned the nickname “Danding”, a referral to perhaps the cousin of the widowed Cory Aquino, Eduardo Cojuanco, a man who once controlled San Miguel Corporation. But when questioned, Cojuanco intensely denied all accusations and claims of involvement with the death of the Filipino hero. Frustratingly, Martinez’ claims were ruled by the Supreme Court to be of evidence that isn’t within the qualifications of newly found evidence, which lead to the definite closure of the case. "Valerio is among those who might be able to shed light, but to me, it's Ochoco whom the government should ask because he was the one who ordered me to bring Galman to the airport,” Martinez stated in 2007. A possibility to get to the bottom of the mystery, yet Valerio and Ochoco disappeared in 1986, after the fall of Marcos’ Administration. Although it was reported the Valerio may be living in the US while Ochoco was in Australia. Former President Cory Aquino was considered the “Saint of Democracy”, a good reason to maintain her disinterest towards solving her husband’s murder case. Yet skeptics still think that this disinterest may be due to the fact that the mastermind may be a Cojuanco, specifically Eduardo Cojuanco, and such inquisition into her own family may cause political instability. Another interpretation goes as, if she does pursue her oligarchic cousin, he may create and fund many coup d eta attempts that will challenge her rule and cause more chaos to the Philippines. So she sacrificed her vengefulness for the sake of the country. With Cory’s matter set aside, what truly bothers the skeptics was Noynoy apathy towards the death of his father. He had all the power and resources in his possession as former President and with politics stable, he could’ve done something to finally find the identity of the mysterious mastermind of his father’s death. It wouldn’t have been hard with the resources of the Americans and the newly obtained information from Martinez, both were in his hands to utilize but Noynoy chose to do nothing with it. A huge void in Philippine history which was created by the apathy of the Ninoy’s widow and son. Is the son of the possibly falsely accused former President Ferdinand Marcos, the only one who wants to get to the bottom of this? Is Senator Ferdinand “Bongbong” Marcos Jr. aspires to prove his father’s innocence the only one who actually cares? It may be for personal reasons, but Bongbong’s initiative is incredibly remarkable considering that he actually aspires to lead the Philippines in the footsteps of his falsely accused yet genius father, all in order to fill the void of Philippine history and bring honor and justice to those whose reputation was destroyed by such falsities. How can you wear the yellow ribbon that signifies Ninoy’s sacrifice, when Noynoy, you have done nothing in finding out who was behind the assassination? And how can any Filipino be proud of a nation whose two former president’s apathy has been taking away the justice from the hero that once stated that the “Filipino is worth dying for”? Considering that these two former presidents is his own wife and son.